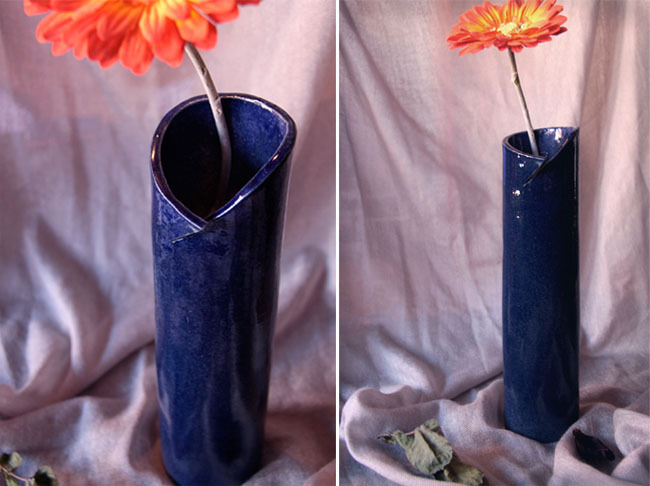 Dans le même style, voici un vase que j'avais fait chez ma prof, celui là donne un effet plus brut du fait qu'il n'est pas verni et je trouve ca très intéressant! J'ai même eu une commande pour ce vase de la part d’une amie à mes beaux-parents qui l’a adoré ! N'hésitez pas d'ailleurs si vous avez des commandes car je serais ravie de faire évoluer mon petit buisness! Pour ne pas perdre les bonnes habitudes, j'ai continué dans ma série tasses à café car le café est vraiment trooooop bon dans la céramique! Elles ont une forme de goûte comme le vase blanc et noir en dessus. C'est une forme que je fais souvent spontanément sans trop savoir pourquoi...ahhhhh y'a matière à creuser peut-être ;) car comme dirait Anita ma prof chacun s'exprime dans la façon de travailler la terre! A plus et merci à toi Nieves pour ces belles photos! Hi, it’ been a while since the last time! Actually I spent some time to organize my space and to start my first pieces! At the beginning it was kind of odd, I was sitting in front of my clay without any ideas… like “What am I going to do with this grey bowl? !” Thus my first assays were …hummm how can I describe them… horrible, like something that scares you! 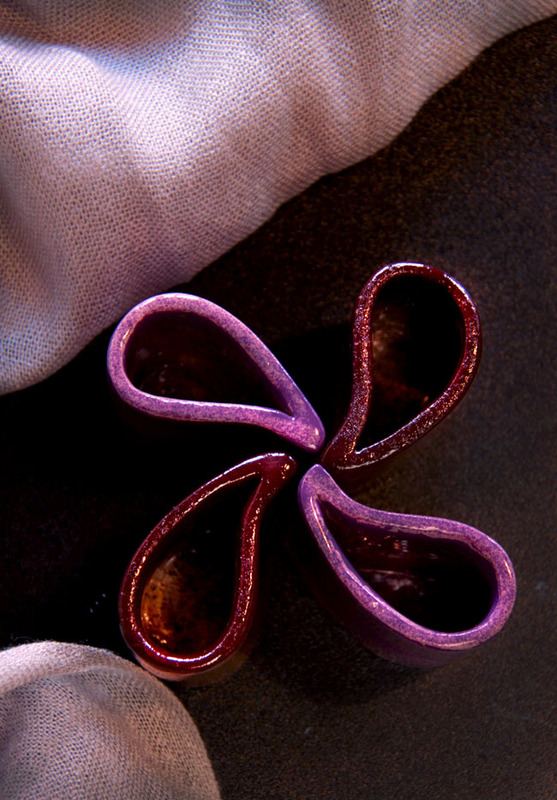 After the time that took me to settle down in my atelier and my new ¨independency¨, my ideas started to run and I found a better way to work with the clay. For example, to flatten the clay we normally use a special machine called “laminoire” at Anita’s (my pottery’s professor) place which makes your life easier. For the moment I don’t have such a machine so I’ve replaced it with a rolling pin… Of course at the beginning my pieces were so thick, beurk so ugly! but after setting up my little system you know what? it works!!! 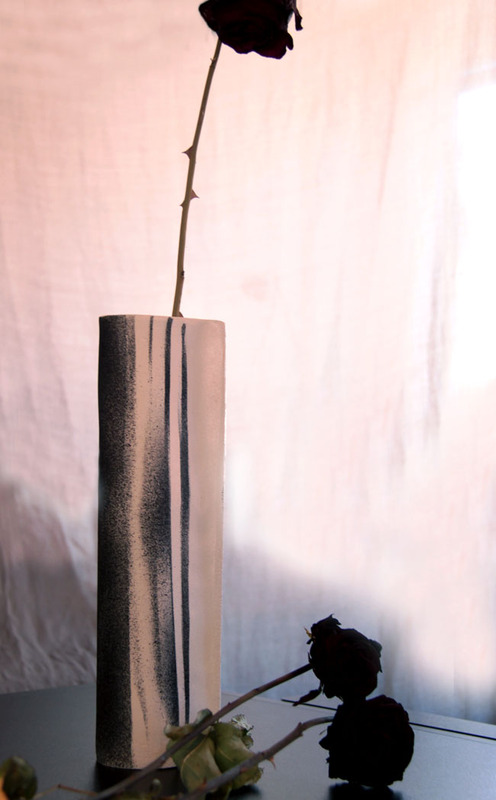 So, now it’s the moment to show you my first vase made in my space (first image). I like it because the top is quite original and the blue color looks like the thick ocean, mmmhhh you see what I mean ;). I was so happy with it that I wanted to offer it to everybody and to make clones of it! I’ve finally decided to keep it only for me in behalf of my first piece done in my space. Do you remember my first coffee cups? 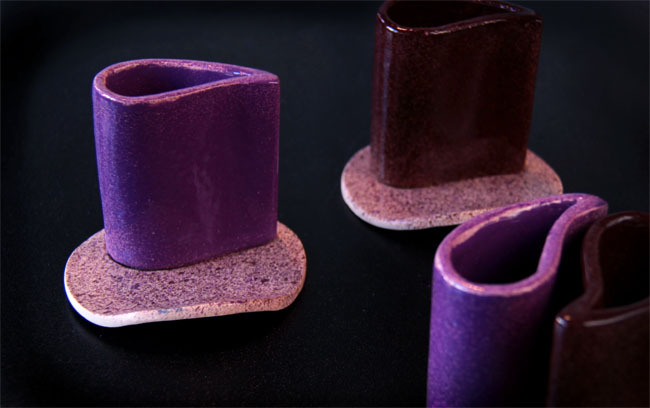 I didn’t want to forget this idea so I continue to imagine new cups because coffee is so good in ceramic…try it!!! 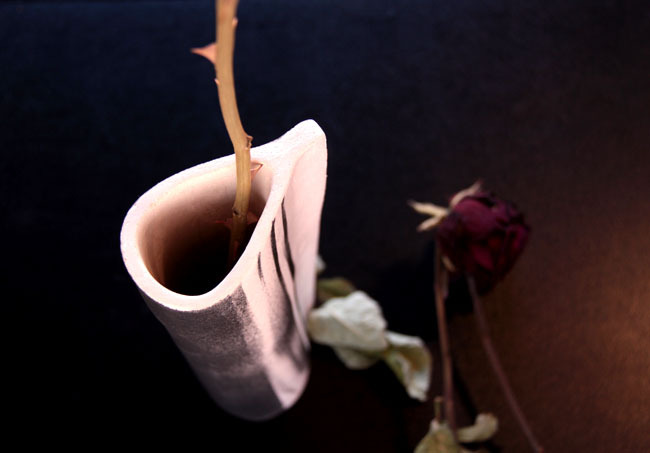 Those have a drop-like shape (4th and 5th images) and in fact it’s funny to see that some of my pieces have this shape like the black and white vase just above. Anita is always saying that you can read into people insides by the way they work with clay…so maybe these drops reveal something about me (I would like to find what it means though!). I have a so much fun in my space and I love creating new things! I have a lot of new creations in the oven by now and I am so excited to show them to you next time! When I open my atelier door I can smell a special fragrance that makes me feel addicted… it is such a pleasure for me, hopefully I can transmit this to you! See you next time and thanks to Nieves for these beautiful pictures! Each thing you touch starts to shine!